This was too long for Facebook; a letter to my brother, cousins and aunts and uncle. I had Monday off a couple of weeks ago and I left the ladies with Mom and took the gentlemen to see Grandma and Grandpa. 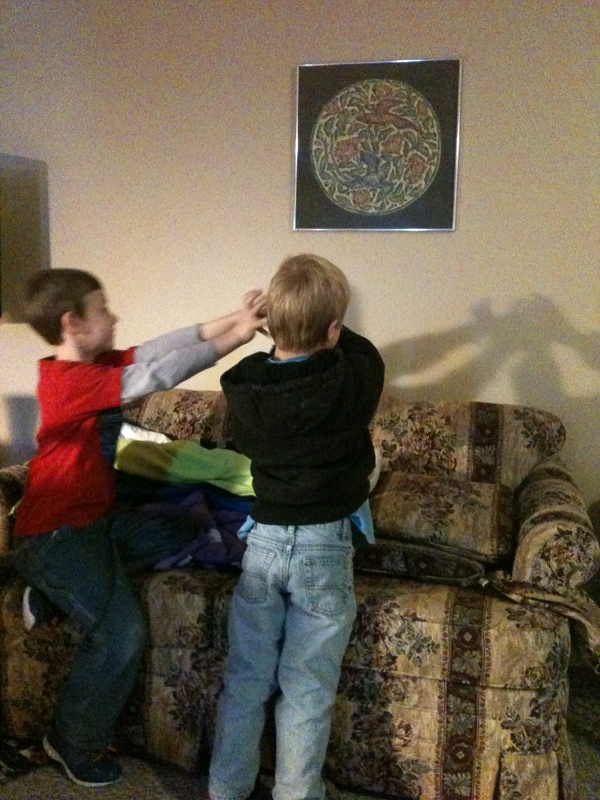 Great Grandma helped Zach with his homework then the boys discovered they could make shadows on the wall. Grandpa was in bed talking about cottonmouth snakes. I don’t think I have seen him out of bed except for a meal in months. Grandma asked me if we could stay for supper. I told her I would come for lunch the next day. *I am as yet not a fan of WordPress, so if you want to look at the photos in a normal shape, click on them and it should make them a normal height X width ratio. I have tried to fix this too many times tonight. Mom and I had lunch at Perkins with Grandma Saturday. Mom very kindly laid it all out for Grandma that Grandpa seemed to be in a lot of pain from his pre-2012 compression fractures and that he weighed 107 pounds and that he is 97 ½ years old and he isn’t eating. (You should have seen them sitting there next to each other with their heads cocked at exactly the same angle.) 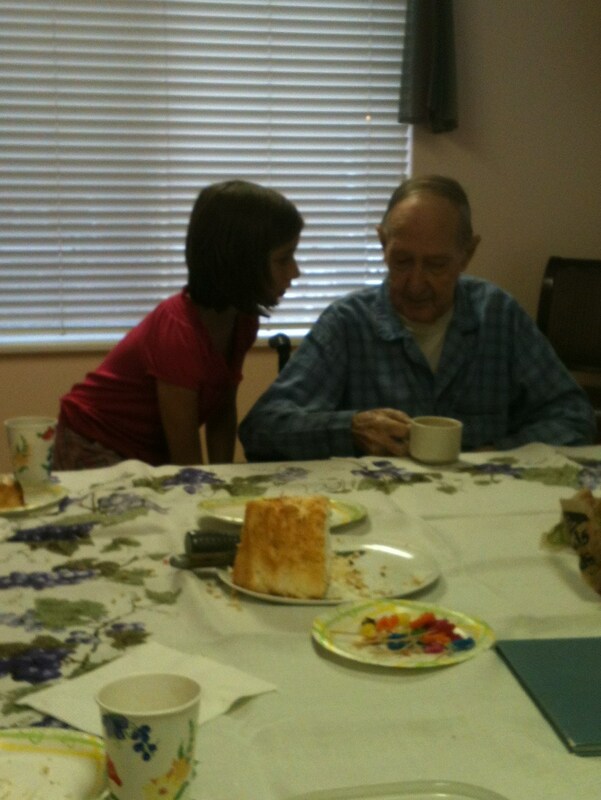 Grandpa is going to be on hospice and it doesn’t look like he has long. They are making him comfortable with morphine. More than Grandpa we are worried about Grandma (her mental health). 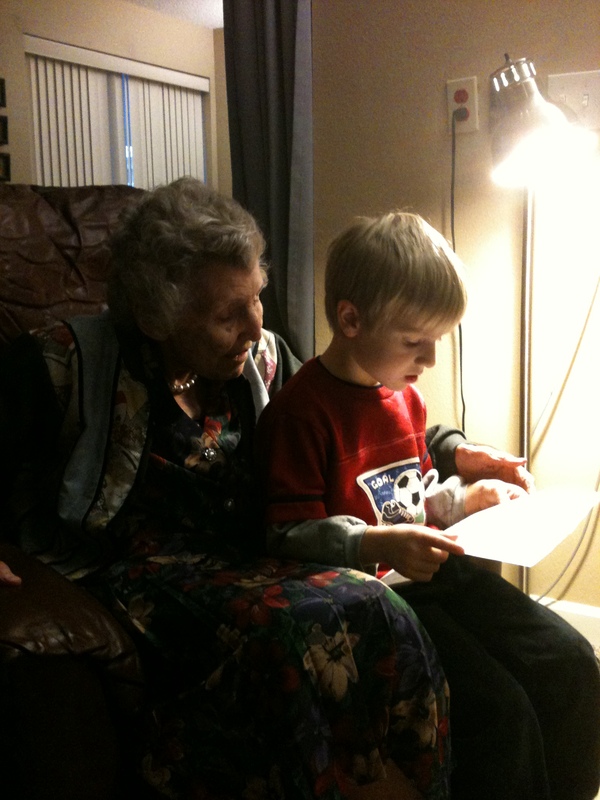 They have been sharing a room for 70 some odd years and she is going to be lonely. Mom gets over there every other day, and I plan to visit once a week, but if you could write her notes or even post cards she would really appreciate it. She saves that stuff and re-reads it multiple times. Not that you couldn’t call her, but she can enjoy a card much longer than a call. If you need the address, ask me on FB. Grandma gets around okay, she goes to the exercise class and Mom takes her on outings too. Mom says my kids have celebrated far too many birthdays in an old folks’ home, but we try to do things like that there so they can celebrate too. I hope you can make it to the family reunion this summer. We plan to have lots of fun- be watching your mailbox for more info. 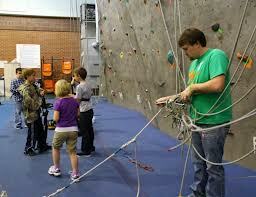 We rented the YMCA camp which is right along the river and very cool. Now I know. My Zumba teacher’s name is Yoko and she did yoga for a cool down. I told her “Namaste” when we were done, but I am not sure she got it. The house is coming along. Very slowly. I have a fridge in my living room and I have to wade through a couple hundred books to get to my closet, but I have bedroom curtains and a dishwasher, so I am not complaining. If I figure out how to add photos to this blog I will add some. I don’t like change, and I am having a hard time learning WordPress, partially, I am sure, because I don’t try to do anything on it but read other people’s stuff when I do get on it. I put four commas in that last sentence. This is the reason I started this post. I have my moments as a mother. We have approximately 12 feet in our family. 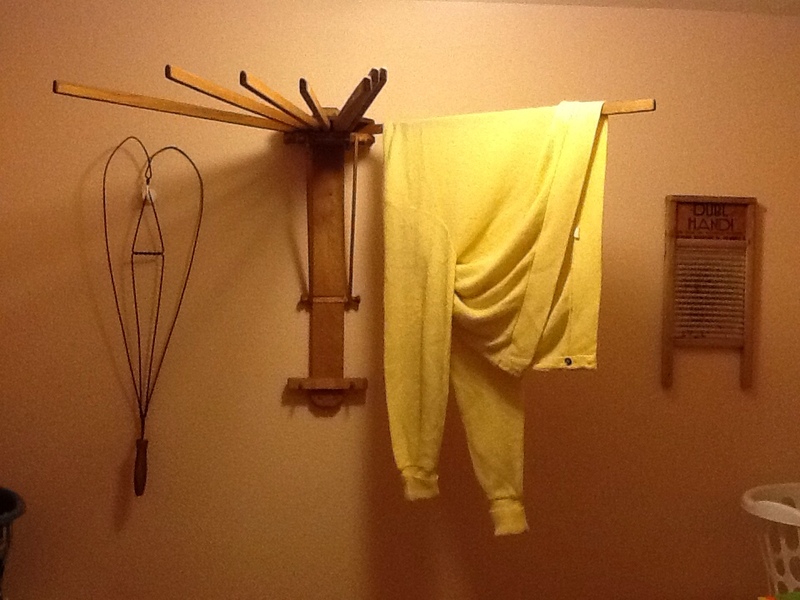 (Ed sometimes leaves things here to be washed.) Let’s see, 12 X 7 = 84 plus all the extras, we will say 100. (I try to see the basket as half full when it comes to socks; there are no lost socks, only extras). Try as I might I cannot get kids to match socks while watching TV. Last weekend we had a ton on laundry so I piled it up in the middle of the floor and sat everyone around the pile. We folded as a group and it all got done. When everyone got their clothes put away we played Socknanza™ as a bonus. Socknanza™ Rules: Everyone sits in a circle and someone deals the socks out evenly. Note, it is not easy to deal socks, and to shuffle them? Even more difficult, although if they had been line dried it might have worked. The kids had a blast, and asked if we could do it again. We have indeed accumulated enough socks to do it again but I doubt it will be as much fun the second time. 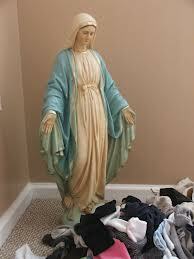 I didn’t realize there was a patron saint of lost socks. Should we call her Bobbi or maybe Argyle?